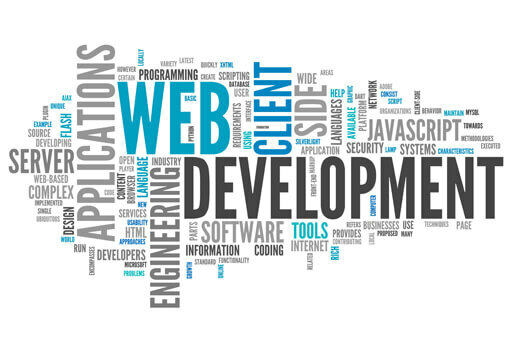 web development company alappuzha,kochi,kerala.When it comes to choosing the best web development language for your website, it’s important to remember that there is no single best language.Instead, a web developer will choose the option that best suits your project, based on the specific functionality or features you want. HTML is the standardized markup language that structures and formats content on the web. Page elements like the titles, headings, text and links are included in the HTML document. It is one of the core technologies in use on the Internet and serves as the backbone of all webpages. CSS (Cascading Style Sheets) is a style-sheet language that basically allows web developers to “set it and forget it.” Paired with HTML, CSS allows a programmer to define the look and format of multiple webpages at once; elements like color, layout and fonts are specified in one file that’s kept separate from the core code of the webpage. These two languages provide the basic structure and style information used to create a static webpage — a page that looks the same to everyone who visits it. Many webpages now are dynamic webpages, which are slightly tailored to each new visitor. To create these more complex webpages, you need to add more advanced client-side and server-side scripting.NET is the most common programming technology for Windows and PHP is the most common web technology for Linux. Along with these two technologies, the databases used are Microsoft SQL Server and MySQL which are the two most widely used databases for web development.